Austin's most delightful holiday attraction to take place Dec. 9-23; events kick off with Dec. 8 preview party benefiting the Trail of Lights Foundation and will feature a schedule full of local Austin entertainment. (AUSTIN, TEXAS - Oct 25, 2017, source: Juice Consulting) - The 53rd annual Austin Trail of Lights powered by H-E-B is thrilled to announce details for "Night Lights" - the 4th annual preview party on Friday, Dec. 8 benefiting the Trail of Lights Foundation, presented by Lyft. The event will support STARS at the Trail, a Trail of Lights Foundation program that will host 1600 children, families, seniors and veterans who might not otherwise get to experience the Trail of Lights for special programs before the event opens to the general public. Night Lights will take place at Zilker Park from 7-10 p.m. and will feature live entertainment from Mother Falcon String Trio, Whiskey Shivers and DJ Mel.The party will offer light bites from Austin area restaurants, beer and wine, special holiday entertainment, a classic car show, a Maker's Market curated by Edible Austin, and an opportunity to experience the Trail of Lights like never before. Participating restaurants include Mattie's, Sway, Moonshine Patio Bar & Grill, La Pera, Chi'Lantro, Texas Honey Ham, H-E-B Café, Cabo Bob's, Top Notch, and many more to come. Small batch makers include Sertodo Copper, local handmade jewelry by Vinca Inc., chocolates from the Turtle Enoteca and Gelateria, French macarons from Le Petits Plaisirs and more to be announced. The official public Grand Opening of the Trail will be on Saturday, Dec. 9 where admission will be free. The Trail will remain open Dec. 10 - 23 with general admission gates open at 7:00 p.m. every evening. General admission for children under 12 is always free at the Trail of Lights. There will be a general admission fee on seven of the 14 nights of the event. Early entry ZiP Fast Pass, Platinum passes, parking and shuttle tickets are also available for purchase on select nights. Calendars for ticket availability and online ticket purchases will be available in early November at www.AustinTrailofLights.org. "This is the fifth year that the Trail of Lights Foundation has produced this community event, and we are very proud to offer this unique celebration of all that Austin is known for," said Trail of Lights Foundation Board President, Leah Davies. "2017's event is a culmination of a great year, highlighting the people, music, groups, food, technology, charitable organizations and businesses that make Austin the place we love to call home. Visitors will see new modernized displays, interactive environments, Austin's famous food trucks, local musical talent, movies, local merchants and more." 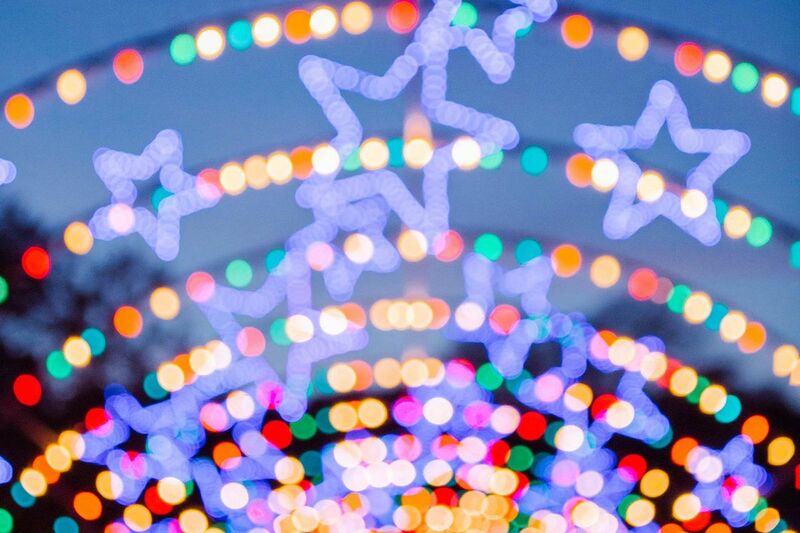 Saturday, Dec. 2: The Trail of Lights Fun Run, presented by St. David's HealthCare, is a 2.1-mile course, starts at the Zilker Tree and takes runners through the iconic Austin Trail of Lights, ending with a celebration in the park. Up to 10,000 runners are expected to participate in two waves. Registration began in mid-September, and can be purchased here: https://austintrailoflights.org/2017-fun-run. Dec. 3, 4 and 6: STARS at the Trail, presented by Vista Equity Partners,hosts up to 20 nonprofit organizations for private tours of the Trail. Since 2013, STARS at the Trail has provided an opportunity for more than 3,000 school children, teens, families of varied socioeconomic backgrounds, youth in foster and adoptive care, WWII veterans, mentors and mentees, chronically ill patients and others with unique circumstances to create special holiday memories at the Trail of Lights. For some of these attendees, this trip to the Trail of Lights may be their only holiday experience. Friday, Dec. 8: Night Lights, the fourth annual Preview Party, presented by Lyft, will benefit the Trail of Lights Foundation's STARS at the Trail program. The event features musical entertainment, food samples from local Austin restaurants and specialty activities not available during the general run of the Trail. Tickets start at $75 per person and will go on sale early November. Tuesday, Dec. 12: The annual HEROES Night, presented by Texas Lottery, honors first responders-active police, fire and EMS, active military, veterans and emergency responders. Guests will create holiday letters to send to troops and other activities to pay tribute to first responders' service. Tuesday, Dec. 19: Movie Night, presented by Austin Parks Foundation.Grab a bag of kettle corn, bring a blanket and enjoy a holiday movie under the stars and lights in Austin's beloved Zilker Park. 2017 will be the sixth year H-E-B has served as Title Sponsor and has committed to serve as title sponsor through 2019. Additional multi-year sponsors include Vista Equity Partners, Seton Healthcare Family, Keller Williams Realty, Cirrus Logic, Silicon Labs, T5 Foundation, NXP, Maudie's Tex Mex, The University of Texas at Austin, Austin Parks Foundation, ABC Home and Commercial Services, 3M, Central Texas Pediatric Orthopedics, Austin Energy, Longhorn Rents, The UPS Stores, Texas Lottery, Pirkey Barber PLLC, K. Freise & Associates, Maxwell Locke & Ritter, Ambetter Superior HealthPlan, Lori and Tito Beveridge, American Bank of Commerce, and Watkins Insurance Group, NXP USA, Inc., UPS, SHI, Humana. Media are invited to join us for an official press conference for the Trail of Lights on Thursday, Nov. 2 at 10:30 a.m. at The Zilker Clubhouse. Please RSVP for the press conference no later than Nov. 1 at 12 p.m. to heather@juiceconsulting.com.